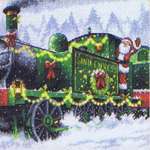 It's full steam ahead at the North Pole as Santa's elves get all the presents ready for the boys and girls. Add a present or sweet for every day of advent to get the holiday season under way. 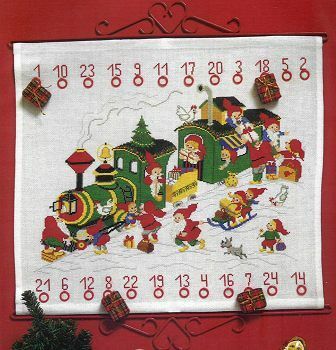 The large scale chart comes on four A3 sheets and the pattern is worked in whole cross stitch and backstitch using 20 shades of stranded cottons. the stitch count is 240 by 210. The red metal heart hangers are not included but can be found in our Supplies and Accessories Section.